NEW! Merge & Match 3 to Build! Why match when you can MATCH & MERGE? Join Robin Hood on her quest to defeat the evil Sheriff of Nottingham, save the townsfolk and rebuild the castle! Merge combinations of three or more to create bigger and better objects while earning gold along the way. Use merging mechanics to help you solve puzzles, finish quests, give to the poor and restore order in Sherwood Forest. 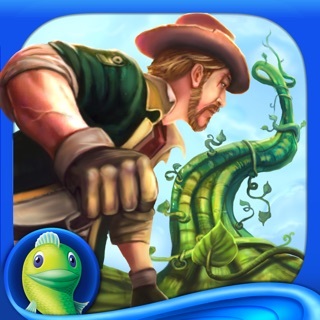 Enjoy triple the strategy and fun of your typical match-3 game in this brand new puzzle adventure! • Merge four or more pieces for a bonus! • Take control of your gameplay by choosing where to place your merge on the board! • Set an item aside to save it for when you need it most! DISCOVER FUN & UNIQUE BOOSTS! • Little John does the heavy lifting, moving items on the board! • The evil Sheriff of Nottingham is destroying the towns and you need to fight back! • The Black Knight is waiting for you as well; can you stand up to him? Each chapter reveals a new challenge to face, and new characters to help! Step into the story of Robin Hood and her Merry Men in this unique spin on a matching adventure. It’s a fusion feat for the taking! Are you clever enough? Robin’s been tightening her bowstring and sharpening her arrows! This update aims to please, with optimizations to help keep your gameplay on target. Update now to join Robin on her latest adventures! Mix strategy/luck, best for short bursts of gameplay. Pretty fun and original, limited lives but they regenerate fast, the levels start very easy, get satisfyingly challenging, then they do get hard to the point where you either have to play many, many times to win or use a boost you have to pay for in in-game currency. There’s strategy but also a significant luck factor. There are daily challenges but the rewards are so paltry I don’t bother with them. Graphics are cute, music is fun. Basically I’d recommend this as a novelty but it’s not necessarily one of those game you keep playing forever. Also it works better in small bursts (like 5 minutes, after the initial easy levels) than for extended gameplay. Very good if you want a minute or two of play here and there that’s easy to jump back into. Update: I’m knocking this game down from 4 stars to 3, because I got bogged down and started losing nearly every time. Since you only get five lives at a time and the mini-games are short, that seriously reduces gameplay time and seriously increases frustration. Also they added some sort of “new game” ad in the upper left corner that’s impossible to ignore. Cute and unassuming little game that surprised me and grew on me. It moves just fast enough, no deadline but the one you choose, no pressure. Folks complaining about having to buy lives? Nah! It’s fun to keep trying, you never know whether you’ll make a level at once or whether it’ll kick your bootie for a while but you eventually make it. Out of lives? Take a break! Fun but limited without real world money!